The head shop of Akafuku Co., Ltd. 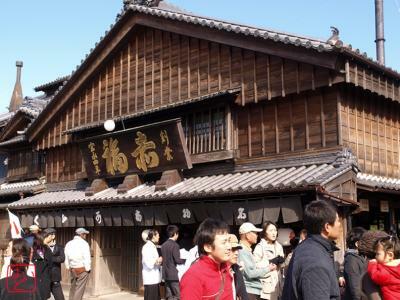 This is the first time for me to visit Ise Jingu ( more simply, Jingu ), which is located in the city of Ise, Mie Prefecture. 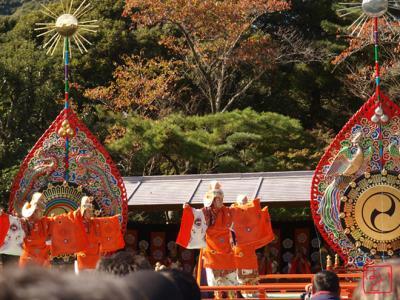 Jingu is dedicated to the goddess of the sun, Amaterasu Omikami, who is said to be the ancestor of the Imperial Household of Japan in Japanese mythology. Most people in the Edo Period dreamed of visiting Jingu, and it is still a special place for us because Jingu is one of the most important Shinto shrines and has a great history. 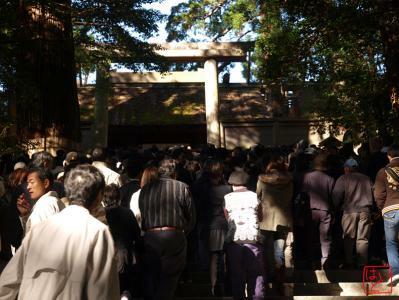 Jingu has two main sanctuaries: one is in the inner shrine, Naiku and the other is in the outer shrine, Geku. These sanctuaries are reconstructed once every 20 years, and treasures which is symbolic of the divine are transferred to the renewed sanctuaries. The 62th transfer ceremony is being held in 2013. 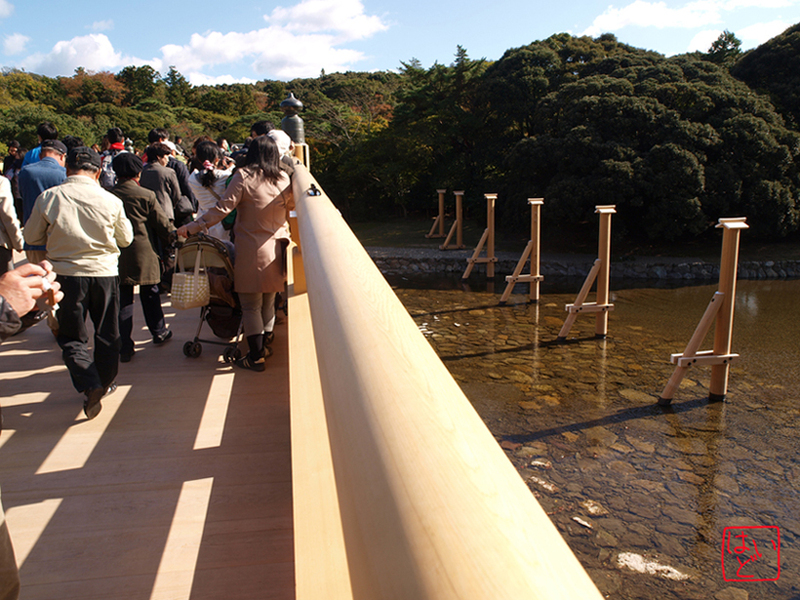 The gate of Naiku, Uji Bridge, is also reconstracted 4 years prior to every transfer ceremony. Today is the first day for people to cross the renewed bridge. Many people have crossed it today. I crossed the bridge and entered Naiku. 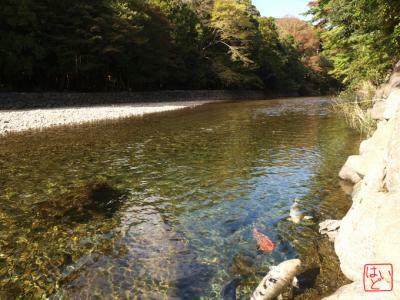 I saw a really beautiful river and forest there. 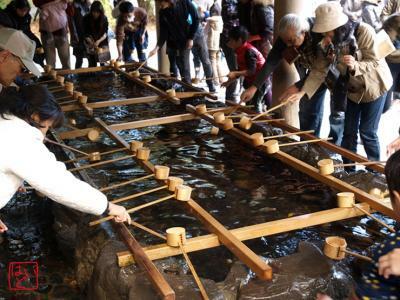 Faith in Shinto divines has been closely associated with natural things. Therefore parishioners of Shinto shrines have maintained their local nature. Jingu is also nestled in the bosom of brilliant nature. Jingu is a really fascinating place. I had a good time, however I didn't have enough time to walk throughout the shrine. I need one or two more days to walk in every nook and cranny.